It was the year 1876. The director of the US Treasury Mint Department, Henry Richard Linderman, needed re-designs on our nation's coins. He contacted the Royal London Mint. C.W. 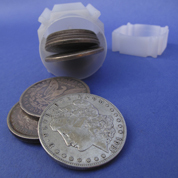 Fremantle, the Deputy Master of the London Mint responded. 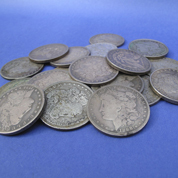 Linderman had asked him to "find a first-class die-sinker", someone who would be willing to become an Assistant Engraver at the Philadelphia Mint Department. Fremantle wrote back to Linderman saying he had found a magnificent young engraver. Consequently, George Morgan, 30, came to this country to work for the Philadelphia Mint. Morgan would work under current Chief Mint Engraver, William Barber. He arrived on October 9, 1876. Starting out under a six month trial, he immediately signed up to become a student at the Pennsylvania Academy of Fine Arts. This would help him prepare for the creation of a new Lady Liberty head design. He obtained studies of Bald Eagles out in nature to prepare for the reverse design. He wanted Lady Liberty to reflect an American woman, rather that the Greek-style Goddess the originals were designed from. Morgan had an artistic friend named Thomas Eakins who suggested he use a Philadelphia woman by the name of Anna Willes Williams for his model. Williams sat for him on five occasions. When finished, he declared her profile portrait as "the most perfect I have ever seen." 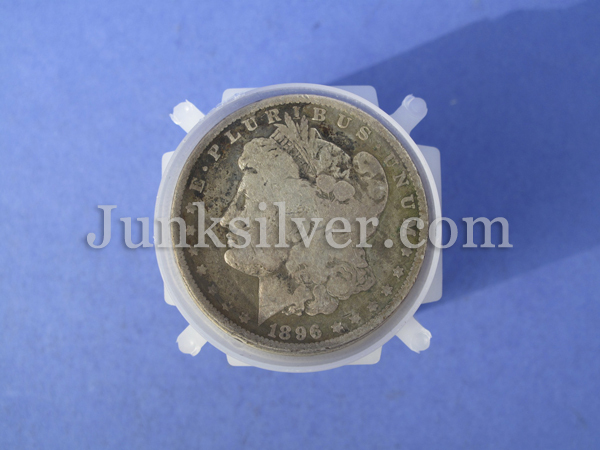 His designs were intended for the silver half dollar. 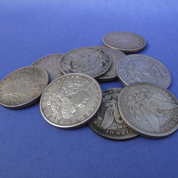 Previous to his arrival, in 1873, Congress had enacted what was known as the Fourth Coinage Act. 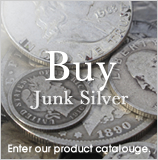 This law was passed to effectively stop the bi-metallic standard in the United States by removing silver as our base metal for any coins. 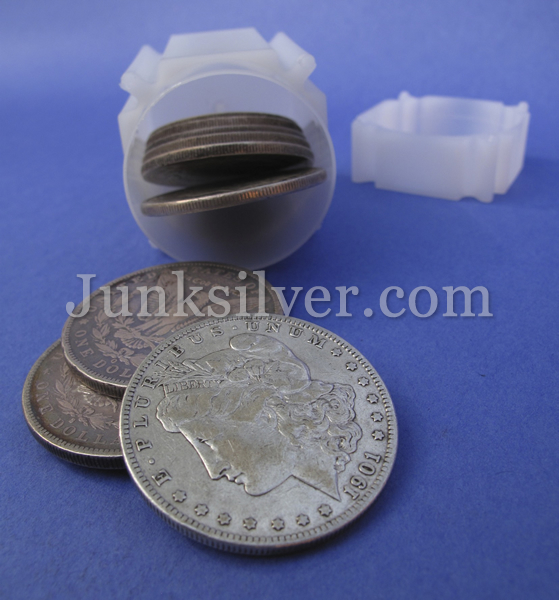 Before the passing of this act, silver could be taken to the Mint Department by anyone, from anywhere, and delivered to be changed into legal coinage for a very small fee. 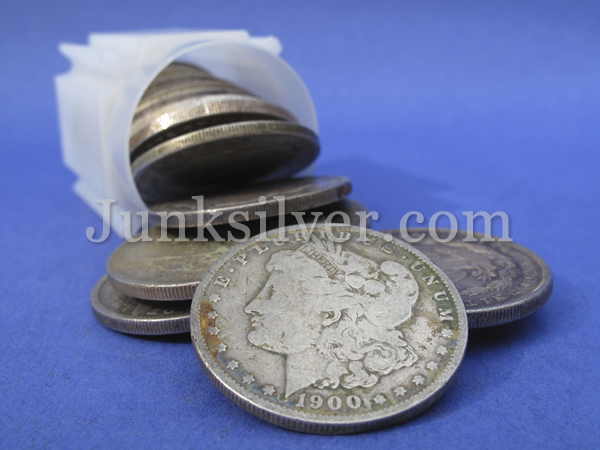 This system allowed bullion producers to have their silver struck into coinage even when the intrinsic value of the silver dollar was lower than its face value. This could be done for a profit, and caused flooding into the money supply. 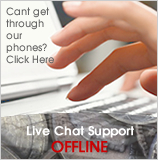 This resulted in inflationary pressures. The Fourth Coinage Act worked to end the run of the silver dollar which at the time was a seated Lady Liberty, designed by Christian Gobrecht. 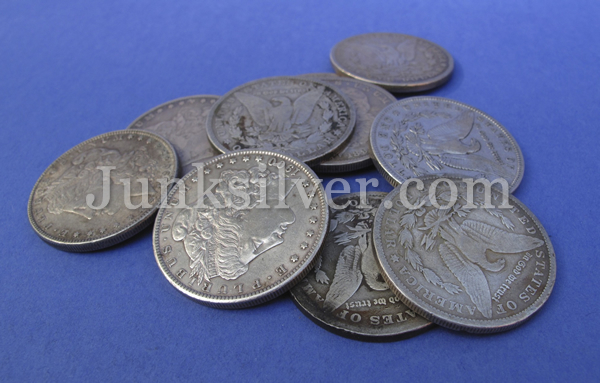 The Act also served to provide competition to the Mexican trade-dollar which was widely used in the Orient. Bullion producers could now bring bullion into the Mint Department, and have it cast into bars and transformed into the new authorized trade dollars for a minuscule fee. 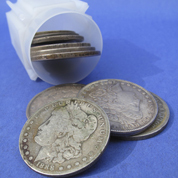 Originally, trade dollars held the status of legal tender. In 1876 this status was later revoked. 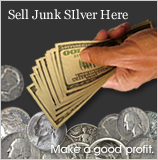 The revocation was designed to prevent bullion dealers from generating profits when silver values were low. 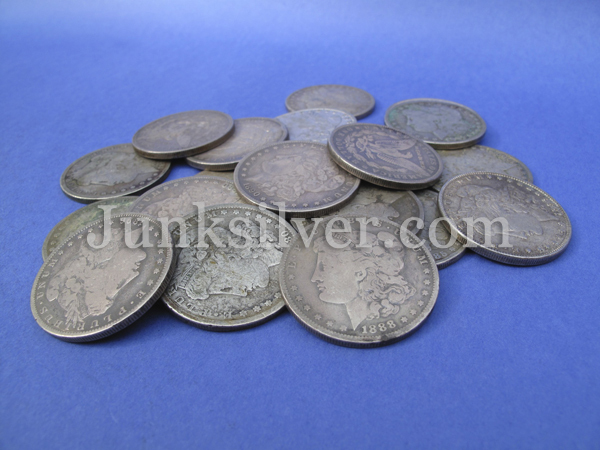 Initially these restrictions on no-cost coinage laid out in the Coinage Act met little resistance from the silver mining interests. 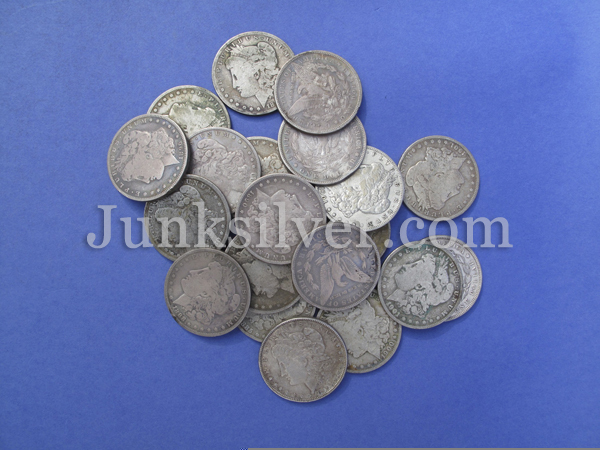 However, that changed once the price of silver began to rapidly decline because of the ever-increasing mining. In western parts of the United States, protests began to pour in from manufacturers and bankers. Protests also came from farmers. These groups felt the increase in the money supply would actually serve to have a very positive influence on the economy. 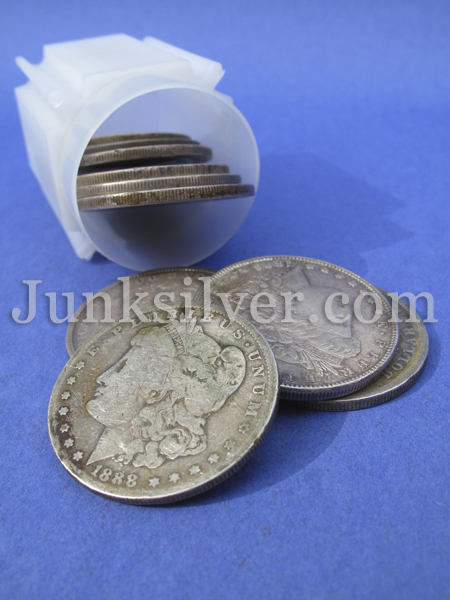 To combat the issue, 1873 "Free Silver" groups began to pop up in order to promote inflation of the dollar by demanding that silver once again be coined for free. They felt they had learned from experience from the "panic" in 1873 that had caused the original Coinage Act to be introduced into Congress. 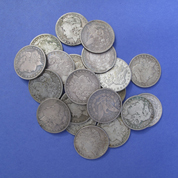 And so, in 1876, Missouri democratic senator Richard P. Bland introduced a bill into the House of Representatives that would resume free coinage of the regular silver dollar, and Iowa republican senator William B. Allison added amendments on the bill that eliminated this provision while it was in the Senate. The Bill was passed in the fall. 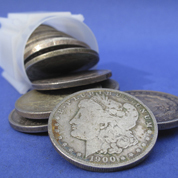 The Bill also allowed for the first time, the questionable practice of using paper silver certificates that represented a stored amount of silver. Interestingly enough, the Bill was immediately vetoed. President Rutherford B. Hayes saw the veto overridden on February 28, 1878. 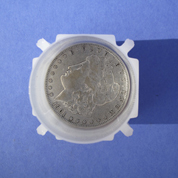 This became known as the Bland-Allison Act and it required the Treasury to purchase from two to four million in silver monthly. 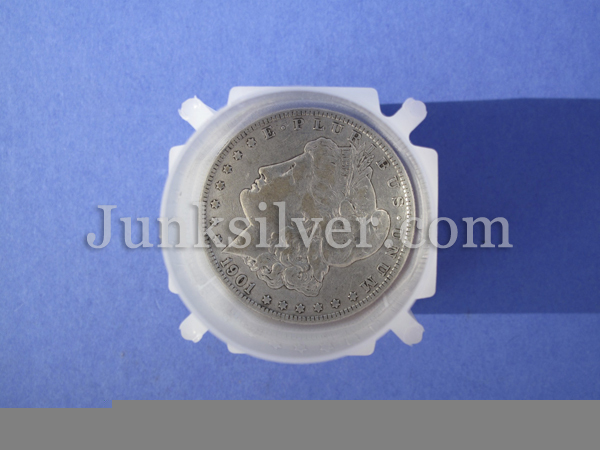 It was to be changed into silver dollars at the previous gold/silver ratio of 16:1, making a gold ounce equal to sixteen ounces of silver. 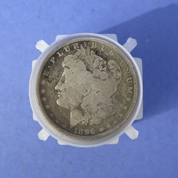 "Instruct Mr. Morgan to prepare without delay, dies for a silver dollar with designs, inscriptions, and arrangement therof to be the same as the enclosed impression for the Half Dollar and numbered '2' substituting the words 'one dollar' in place of 'half dollar'."